After this, the icon is displayed in the status bar. The status bar can be pulled down to reveal the window shade. Expanded messages for the notifications are shown. Event-driven notifications (for example an email) are displayed under the ‘notifications’ bar when ongoing notifications are also present. 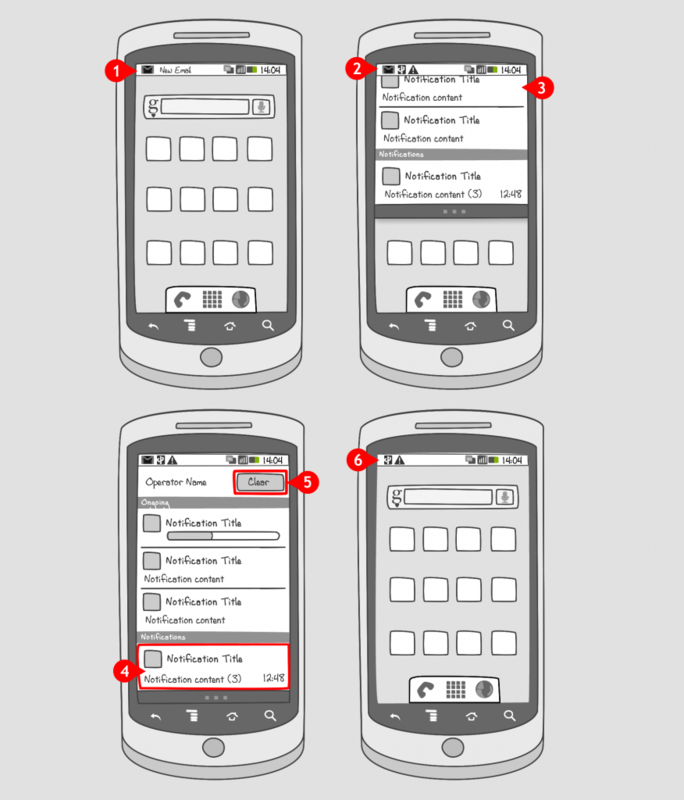 …the user can tap the ‘clear’ button to dismiss the notification. When your app needs to notify a user about an event that requires a response, you can use event-driven notifications. The notifications should be accumulative, e.g. a number of emails should be shown in the notification, instead of adding a separate notification for every email. Status bar notifications can be used if your app is not active. If you require an immediate response when your app is active, consider using a alert dialog. If you need a notification that cannot be dismissed, consider using an ongoing notification. 1 On the left side of the status bar, icons are displayed for notifications. 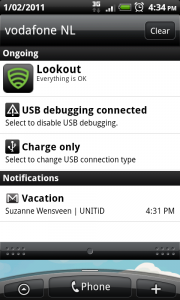 2 When the user pulls down the status bar, expanded messages for the notifications are shown. 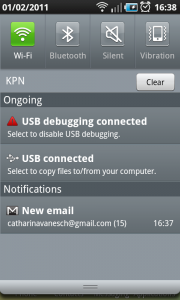 Event-driven notifications (in this case an email) are displayed under the 'notifications' bar. 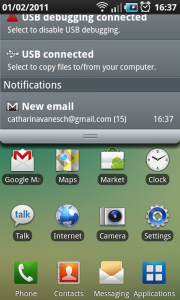 1 When the notification is initiated, the icon and the notification title will appear briefly in the status bar. 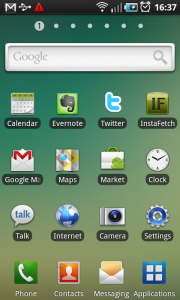 2 Then, the icon is displayed along the other icons in the status bar. 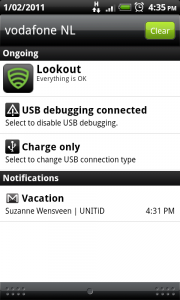 3 Pulling down the status bar will reveal the window pane, containing expanded messages for the notifications. Other ways to request a response from users?